Cyberbullying infuriates me too. This book sounds very current and compelling. 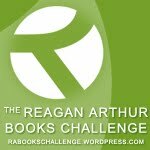 I'll add your review to the Reagan Arthur Books Challenge blog. 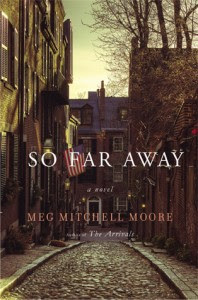 This one was already on my TBR list, but yours is the first review I've read. Glad to see you enjoyed it. 'chick lit with a serious focus'<-I like that. I agree, it's sad and shocking how bullying has evolved into cyberbullying. This book sounds like a good read Suko, great review. This sounds like a really good book. Great review! I never know what is actually chick lit and what's not. Either way, it sounds like a good read. As you say this sounds like a compelling read with well developed characters. Great review, thanks for sharing your thoughts. This was a very powerful read for me, and I feel in love with it. It was such a haunting and cautionary tale that shared so many important things with the reader at once. What a great review today, Suko! You couldn't have picked a more wonderful book to highlight and expound upon. I also was struck by this book, and frustrated with the "friends," but most especially the parents. I couldn't get this one out of my head, and still vividly remember the story. I'm so sorry not having the time to read the books you reviewed ! This one too seams very interesting. Sometimes I think I'm happy no more having young children. Difficult times for them and their parents. I haven't read any books with the cyber bullying theme and it sounds very interesting! I'll have to add this one to my list.